In today’s video blog post, I am sharing an awesome pitching drill for working on the “Peel Drop Ball” pitch. The Peel Drop Ball is a very easy transition for a lot of girls because it is very similar to the Fast Ball pitch. The grip is the same as for the Fast Ball, really focusing on the pointer finger and the middle finger. And basically you are coming through just like you do in the Fast Ball, only once the arm reaches the hip line, and as you feel the ball coming out of the fingers, you want to pull up and peel on the ball. You are going to be taking a shorter step than you do in the Fast Ball, and you want to lift up your weight on that front side as you peel up on the ball as you do, keeping the pull up tight and short. By getting the weight forward, you can get a good angle to get over the top of the ball. It’s very important that once you put that front side down, you lock in that front side so the upper body doesn’t twist around and pull you over the middle. Stay and lift, and the back side is dragging just slightly. The one downfall to this pitch is that sometimes pitchers let it hang and they keep it down the middle and there’s not a lot of movement on it. And if they don’t understand how to shorten up that arm, the throw can end up being a flat fast ball down the middle. Sometimes young pitchers hang on to the ball a little too long, so they need to think about releasing it a lot sooner. 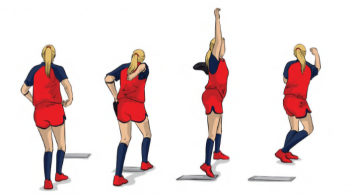 As we do with all of our pitches, you want to warm up short, just working on her body getting in the right position, and also her snap and release on the ball. 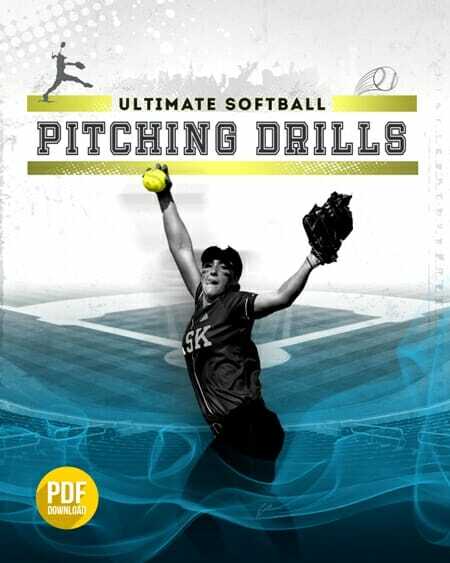 Looking for more awesome softball pitching drill ideas and tips? Then be sure to check out Championship Coach Sue Enquist’s other Softball Coaching Videos! 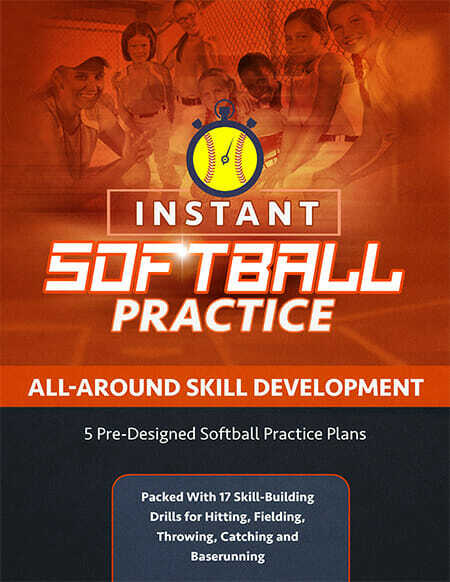 Sue will share some great tips and softball pitching mechanics, hitting and much more! And don’t forget to Like Us on Facebook, where we share more great ideas and suggestions for your practice plan! You can also Follow Us on Twitter and Hangout with us at Google+!